For a Master Chef this unique ring represents the pinnacle of his or her cooking career. By design it is an heirloom for the culinarian that has earned the right to own and wear it. 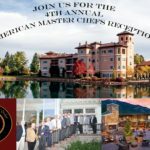 This, one of a kind, ring is crafted under legal authority from the American Master Chef’s Order by only one closely guarded jeweler. 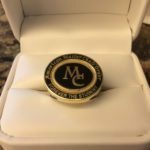 Each AMCO Presidential commissioned ring is unique to a specific Master with their name, MC number and test year. Once finished the rings data is logged and its mold is destroyed.